Mint Celebration of Genesis was born on May 3rd, 2009. She is sired by our 2-time AHR ‘National Champion Stallion’ and 4-time consecutive AHR ‘Stallion of the Year’, Arno van het Nieshof. Her dam is the broodmare extraordinaire, Mint Julep MLF. Mint Celebration is the 5th consecutive foal born from the crossing of Arno with Mint Julep. She is the 4th filly that has resulted from this cross. Based on the winning legacy of her sisters and brother, seeing another foal born from this potent cross truly was a ‘celebration’ at Genesis Farm. And so it was that we came up with this filly’s AHR registered name. Around the barn though, she was promptly dubbed as “Taffy”, following in the tradition of her filly siblings because all of Mint Julep’s 4 previous fillies have had barn-names that were a type of candy as well. To us, ‘Taffy’ seemed like an apt name, describing her sweet personality and her melt-in-your-mouth golden color. ‘Taffy’ was not weaned in time to attend the 2009 AHR National Show. 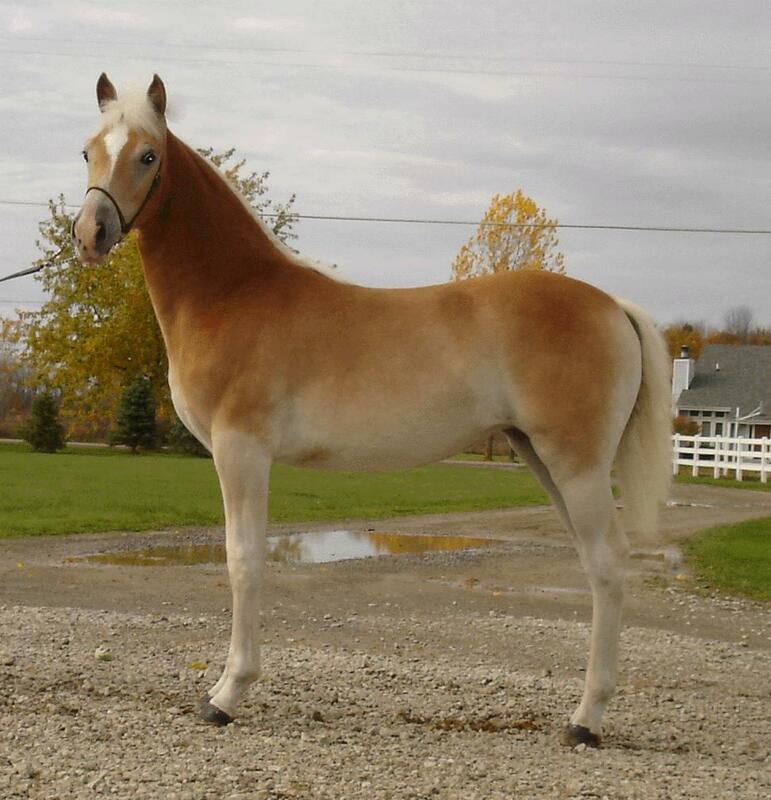 Her first show ring debut was at the 2009 AHR Futurity. Taffy took 4th place in the very competitive ‘Junior Weanling Pleasure Filly’ class. In that same class, her two pasture-mates, Limelight of Genesis and Awe Struck of Genesis, took the 1st and 2nd place ribbons respectively. We were proud of Taffy for her placement in this class considering that she was one of the youngest entries in the division. Interestingly enough, the ‘Reserve Junior Weanling Pleasure Champion’ title was won by a colt whose dam is Taffy’s full sister (and the sire of this colt was Alfa of Genesis !). You can just see the potency of this genetic cross carrying through the generations! We have grand expectations for Taffy in her future based on the show ring accomplishments of her sisters and her brother. Watch for this golden, metallic filly to be strutting her stuff in 2010!